Hit-and-run accidents can be some of the most serious accidents that happen on roads. Drivers who flee the scene are acting criminally, and they could be leaving victims behind to not receive the assistance they need. All drivers must take accountability when they cause an accident and remain at the scene afterwards. On June 2, the Burlington Police Department received information about a vehicle crash that involved a hit-and-run driver. The accident was reported around 4:00 in the afternoon, and dispatcher Edwin W. Kolhonen received the call. Officer Patrick M. Lyons and other emergency responders arrived at the scene and found that a 2006 Honda Civic and one other vehicle were involved. The other vehicle fled the scene. Injuries were reported, and one individual had to be transported to the hospital. Their identity has not been released. Murray’s Towing arrived at the scene to tow the Honda away. No further details were reported. Car accidents can be dire, and they can leave victims dealing with injuries for many years. It is vital for all drivers to remember to take responsibility for their part of preventing accidents. 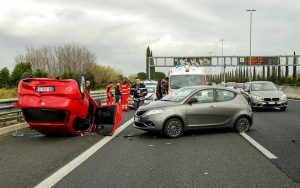 If a driver does cause an accident, they also must take accountability for this and stay at the scene to help victims. At the Law Offices of Jeffrey S. Glassman, we know how severe some vehicle accidents can be. As members of this community, we want our roads to be safe for all who use them and for drivers to take care and caution. However, we know that accidents cannot be completely avoided, so we are also here to help victims receive help so they can heal and recover.